"We had the most memorable and amazing wedding reception in the Abbey Hotel on the 21st December 2018. From start to finish the staff of the Abbey Hotel delivered the most professional and outstanding service we could have asked for. The hotel was so beautifully decorated and welcoming to our guest. The food on the day was incredible, which left so many of our guests talking about it days after. The service was so prompt and professional. Julie the wedding co-ordinator has to get a huge mention. She made our whole experience so easy, stressfree and enjoyable. She was so accommodating and no request was ever an issue. We are so grateful to all the wonderful staff of the Abbey Hotel for delivering such a magical and perfect day which we will never forget. To all future couples ye will not be disappointed booking this amazing hotel for your special day"
“Just settling back into to swing of things after everything is finally starting to settle down! I just wanted to drop you a note to say thank you so much for everything that you did since you joined the Abbey in the run-up to our wedding and especially on the day itself! Everything went so well, the room looked amazing and myself and Mark had the best day ever. We have received so much positive feedback on the hotel and the food and everything that went with the wedding so thank you so much for that. You were a pleasure to deal with and thank you for everything again”. “The Abbey Hotel is an amazing hotel, and was first choice when we decided to plan our surprise wedding! We contacted Julie and told her our story and she was so helpful in arranging our big event with us! Julie was great and got back to me promptly any time I had a question about some part of the planning! On the night the staff were brilliant! Our ceremony was carried out in the Hotel also and it looked amazing! The food was top class and every one of our guests complimented every aspect of the evening! Thanks again to Julie and Adrian for making our day so special and stress free! “We got married on Friday the 2nd March 2018 and our reception was in the Abbey Hotel, Roscommon. As storm Emma descended upon the country and brought Ireland to a standstill, who knew what lay ahead for us on our wedding day. As anxiety and worry set in and the rollercoaster of emotions began, a comforting phone call from our wedding co-ordinator finally brought the tears to a front. Tears of relief on this occasion as the Abbey hotel understood what we must be going through. The Grealy family offered compassion, reassurance, help and assistance in order to make things as easy as possible for us and the situation we were in. Let's not forget that a red weather warning was in place and people were advised to stay indoors and not to leave their homes due to the snow. This however did not stop the Abbey Hotel and their staff showing up to work to prepare and present what can only be described as the firstclass service we received on our wedding day. The food on the day was superb and more than lived up to the reputation we had heard so often about. We are still receiving compliments to that regard. From the minute we walked through the door to organise our wedding, to the moment we left, the hospitality and professionalism of the Grealy family and their staff shone through. For this we will be forever grateful and we will never forget all you did for us. Your hotel will come highly recommended by us. Thanks again from the bottom of our hearts. Mr. and Mrs. Murray. “We had our wedding in the Abbey last year, and just back from 1st anniversary stay! The staff and Grealy family were so lovely and spoiled us again! once again they pulled out all the stops and went that extra mile. so happy with everything and will be back again. Lindsay & Christian Dann Longford. “On behalf of my husband and I, I would like to thank all the staff of the Abbey Hotel for the fantastic day they provided for us on our wedding. From the first minute we booked our special day with ye I knew everything was going to be perfect and it was. Everything from the food, service and the comfort of the rooms nothing was out of place. Thank you for making our day so special. “I don't think there is any more I can say that hasn't been said already but I'll give it a go. Myself and my wife Michelle got married in the Abbey Hotel on March 17th 2018. All I can say is that it was perfect from start to finish. The staff, the food, the room decoration, it was all just fantastic. Our wedding was a small affair with 31 guests in total but our small size was not a problem, we received top class treatment from the minute we arrived. Nothing was too much and we were ensured that we had nothing to worry about all day. My cousin is getting married in June and has everything booked but she came up to me today and said if she hadn't everything booked already she'd be booking the Abbey without question. We would have no hesitation whatsoever in recommending the Abbey to couples thinking of choosing it as a wedding venue. Our day was simply perfect with friends saying it was one of the best weddings they had been to. Everyone genuinely had a great day. If we could give more than 5 stars we would. “Myself and my husband had our wedding reception at the Abbey Hotel on June 9, 2018, we cannot thank the staff enough for our special day; both the service and food were excellent. All the guests were praising the food! Thanks to Tom Grealy for taking care of us on the day and ensuring everything went smoothly, to the wedding coordinator for everything in the run up to the wedding, and for all the staff involved in the day, our day was truly amazing. “We held our wedding reception at the Abbey in December 2017 - I could not recommend them highly enough as a wedding venue! It totally exceeded our expectations. Nothing was too much for Adrian and all the team. All our guests commented on how great the service was and how well organised the whole day was. Thank you so much for making our day so special! “Where to start, The meal was simply fabulous, efficient, hot, fresh and there was no shortage of seconds. Even some guests complimented how nice the cup of tea was. The ballroom and the Abbey itself looked fabulous. The Grealy family were on hand to welcome us and delighted to see the horse and carriage. The staff were brilliant especially the bar staff, again no delays getting served. If your thinking about the Abbey for any event, we would highly recommend it.” Ita and Shane. “Attended a wedding yesterday. Absolutely Fab. Service was amazing & place is beautiful. The owner went around making sure everyone was happy and he was extremely welcoming. His personal touch is really impressive”. “Fantastic place for a wedding. Super job and professional service was had the day of our wedding. Thanks very much to everyone involved”. "Top notch place for a wedding, food excellent and service to match, would like to thank Tom, Adrian (Grealy) for making our day extra special, you can't go wrong with the Abbey"
Ciara & Patrick Connellon "Can we both just say that the Abbey Hotel far outweighed our expectations for the wedding. The food was spectacular and the service was commented on by all our guests as the best that they had seen. You really did cover all the smallest details which were the finishing touches. Many Thanks for everything"
“Where to start, we cannot say enough good things about the Abbey. The meal was simply fabulous, efficient, hot, fresh and there was no shortage of seconds. Even some guests complimented how nice the cup of tea was. The ballroom and the Abbey itself looked fabulous. The Greally family were on hand to welcome us and delighted to see the horse and carriage. The staff were brilliant especially the bar staff, again no delays getting served. If your thinking about the Abbey for any event, we would highly recommend it”. Ita and Shane. Paudie and I had our wedding at the Abbey Hotel on Saturday 12th of August and we couldn’t be happier with how everything went in the hotel. From the warm welcomes and fabulous food to the friendly staff and excellent service it was just perfect from start to finish. So many guests commented on the ‘homely’ feel of the hotel with its character and fabulous grounds & gardens. We would like to say a huge thank you to the Grealy family, the wedding co-ordinator and all the staff at the Abbey Hotel for a truly amazing day. The ballroom looked beautiful and everywhere was immaculate. Adrian & the wedding coordinator were so professional and ensured everything ran smoothly on the day – the timing of the food, speeches, music, tea /coffee & cake etc. From the first day we choose the Abbey Hotel Roscommon as our wedding venue they were so accommodating and nothing was a problem. We can't thank you enough and would most definitely recommend The Abbey Hotel to any future couples. 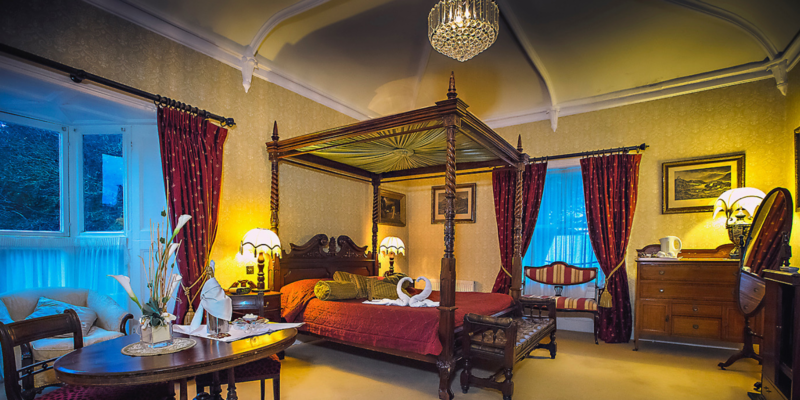 If you are looking for a hotel for your wedding definitely book the abbey; the wedding co- ordinator and the Grealy family who run the hotel really went above and beyond to make sure our day went off without a hitch. The food was amazing. They really can’t do enough for you and from the moment we booked the hotel to our wedding day they made everything easy and put our minds at ease from the start. The service was prompt and professional and had all our guests complimenting from start to finish. They really made a great day brilliant and we can’t thank them enough. We had our wedding which was a civil ceremony in the Abbey hotel last Thursday 28th December. Anything I say about the Abbey Hotel would not do it justice. It was fantastic from start to finish. The wedding co-ordinator is an amazing person, brilliant at her job & Tom the owner is gentleman. Nothing we asked for was ever too much hassle, from the very start always at hand to assist in any way. The day itself the suite for the ceremony was beautifully decorated and the hotel really emphasised the Christmas feel. The meal was absolutely fantastic, our guests kept praising it. Staff were so helpful and were excellent in particular Luke at tending to the young children and making sure they had all they wanted. I would recommend any couple thinking of getting married to really consider Abbey Hotel. You will go along way to find anything better...Thank you for making our day so special. Jacinta & Michael Tiernan Longford. We got married on the 22nd December 2017 in the Abbey Hotel, I cannot recommend this venue enough, the service was outstanding from beginning to end, our guests all talked about how beautiful the hotel looks and how amazing the food was on arrival and the meal was delicious it was so efficient, hot and there was plenty of seconds even though people were not able for them. Our wedding coordinator, she is fantastic at her job, she was absolutely brilliant in the lead up to our wedding and on the day itself. She made the planning of our special day so easy, nothing was any hassle, any questions we had were answered promptly by email or phone. She was extremely helpful and an absolute pleasure to deal with. Also in the lead up to the wedding the reception team and Elaine in reservations was always on hand and there to help. The waiting team was outstanding, the attention that we were given was second to none. We would like to thank Tom and the Grealy family and all team at the Abbey Hotel for the beautiful wedding memories we will have forever. We would highly recommendtheAbbeyHotel. To say it was a dream would be an understatement. From the moment we booked the abbey the team made sure all our needs were met. Upon arrival the night before my family and I were made feel so welcome . The Grealy family have made the abbey a wonderful home from home ...it truly is a hidden gem it also boasts a picturesque abbey ruins to the rear of the hotel which adds to its charm . From top of house to housekeeping, the staff and service is impeccable and no job seemed like a big ask. The fortfield suite was perfect for our civil ceremony and the wedding coordinator made sure we were all at ease and got everyone where they needed to be. We can't recommend the Abbey Hotel enough for a wedding ... They really know what they're at! It is a beautiful cosy hotel that can still cater for a big number (such as our wedding). The food was excellent, the ball room looked amazing and they we're incredibly efficient. The team were also very helpful in setting up different pieces for the day ... Sweet table, guestbook and the flowers for the tables. We had a fantastic day and I would have no hesitation in advising friends and family to choose the Abbey hotel for their big day. We had our wedding at the Abbey Hotel, Roscommon on 06th October. We chose the Abbey Hotel because it is a building with great character, because of its reputation for great food and because it has only one large function room guaranteeing one wedding per day. The Abbey Hotel and in particular the wedding coordinator, could not have been more helpful in the weeks leading up to our big day. They listened to us and took all we said on board while giving us ideas and guidance about how our day would go. The food was incredible! All of our guests raved about the meal. The groom himself is ceoliac and the Abbey made sure that he missed out on nothing. Canapes and evening finger food was specifically prepared for him and our other guests with dietery requirements. The function room looked beautiful for our day. The wedding co-ordinator placed all our personal touches perfectly around the room and even if our guests didn't notice, we certainly did. We had our wedding in the Abbey on the 29th of April 2017. I can't praise the staff and owners enough. From the minute we contacted the hotel for a viewing they made us feel very welcome. Everyone in the hotel is extremely helpful and friendly. They were always available to answer any questions we had, they could recommend bands, photographers etc and would always work around out schedule if we needed to meet. The week before the wedding Geraldine and the wedding coordinator were on the phone for any queries I had. They even designed a separate menu for my aunt (she has special dietary requirements)- the day before the wedding. The day of the wedding was completely flawless and that is thanks to everyone in the Abbey. The food, service and drink was out of this world. We didn't have to worry about anything on the day of the wedding thanks to everyone in the hotel. Even the morning after the wedding, Tom (the owner) went and carried down my uncle’s breakfast, (my uncle is in his 70's), got him the paper and sat beside him discussing the weather. The best decision we ever made was to have our wedding in the Abbey. I am proud to say I am an Abbey Bride. I wholeheartedly recommend the Abbey Hotel for ANY award it has been nominated for. Damian and I got married in the Abbey Hotel on the 1st of July, the venue was outstanding and the staff could not have been more friendly and helpful especially our wedding coordinator. The ballroom was impeccably decorated and the honeymoon suite was amazing it was a truly wonderful wedding experience and we highly recommend it to couples in search of the perfect venue for the wedding of there dreams. We couldn't recommend it highly enough. My husband and I had our Wedding Reception at the Abbey Hotel on 11th August 2017. We cannot thank the staff enough for our special day; both the service and food were outstanding. All our guests were complimenting the food! The hotel and surrounding grounds are perfect for stunning photos. The wedding coordinator looked after us with any queries we had in the run up to the day. Tom Grealy looked after us on the day and he ensured everything ran smoothly, our day truly was amazing. Highly recommend The Abbey Hotel. We got married in September and cannot praise the Abbey Hotel highly enough as a fantastic wedding venue. My husband and I live in Sydney and so had the difficult task of organising the wedding from there but the Abbey staff were very responsive on email and phone and helped us assist any of our guests special requirements. All of my guests from abroad as well as local, loved the venue. It has such character and we got some truly amazing photographs with beautiful scenery and backdrops. The food was top quality and remarked on by lots of guests and the order of events went very smoothly. It was all so well organised that we could relax and enjoy the day with zero stress. The package was very reasonably priced in comparison to some other hotels. We were 100% happy with our choice of venue and would highly recommend it to any future brides and grooms. Alan and Carmel Flood. Where shall I start... The Abbey Hotel is amazing, our wedding was magical. I stayed in the hotel for 3 nights prior to the wedding and I was so well looked after, the staff were fantastic and very welcoming. The morning of our wedding was what I can only describe as perfect, so relaxed and once again there was lots of fun and laughter with staff and the Grealy family. We had a lot of guests arriving from Dublin, Meath and the USA and they were all made feel so welcome, each guest received top quality service. Our wedding reception was what every girl dreams of, the food was exquisite and the layout was 5 Star. The hotel grounds are stunning, such a treat for photographers! From start to finish it was professional and the wedding coordinator was brilliant, we can't thank her enough. It was without doubt the best day we have ever had and it's all down to the hotel staff and the Grealy family, fantastic people. We will be forever grateful. Magical memories from The Abbey Hotel. On behalf of my Husband and I, we would like to sincerely thank the Abbey Hotel Roscommon for making our Wedding Day such a wonderful occasion on New Year’s Eve 2015. From the first instance we met with the Grealy family and Wedding Co-Ordinators, we were sure they would go over and beyond to make our Wedding Day very special, and that they all did, very well too we must add! We cannot thank you all enough for your first class hospitality and service. With being a family run establishment, we were very lucky to have many members of the Grealy family and our Wedding Co-Ordinators on hand to help, to ensure our day ran without a glitch. The food was without question of a 5* status and our guests throughly enjoyed same. We are so happy we choose this venue for our Wedding Day & we would highly recommend this Hotel to prospective Wedding couples. Thank you all so much for giving us a day we will never forget. Mr & Mrs Joey & Jenny Rooney Lanesboro Longford. Just want to say a huge thank you for everything ye did on Saturday and the lead up to our wedding. You're an absolute pro and a pleasure to deal with! We had an amazing day. Everything was perfect! The room, the tables, the food, everything was unreal. So many people said to us they have been at weddings all over the country & never have got food as good! Adrian & staff were absolutely fabulous. Can't thank you all enough.